The students of the Kellarpelto preschool in Eastern Finland make regular visits to a forest nearby. 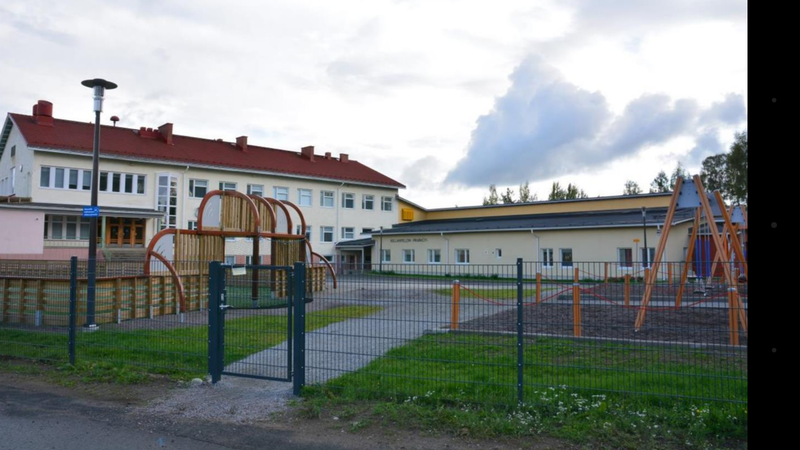 Inspired by another project called “Teacher’s Forest” at the University of Eastern Finland, some of the teachers at the Kellarpelto preschool had decided to try creating 360 images in a group of 13 students between ages 10 months and 2 years. U: What made you try 360 images instead of regular images? K: Looking at regular images from our walks and activities is something that children can easily do on the iPad screen, but 360 images gave us a new kind of opportunity to go back in the forest, move there “with the finger” and touch the “spots” on the screen to hear sounds. Images became alive. Students are returning to the classrooms with the start of a new school year; some were fortunate to travel. As a teacher, part of our mission is to introduce students to a wider world view than what they may have seen. One way to virtually introduce them to places we have traveled to is to embed 360 images into a standard ThingLink image of a map. Our image of the week comes to us from Juha Salminen. Image of the Week: Take a Coral Reef Adventure! Ever wish you could take your students on an adventure of a lifetime? Today’s school budgets limit travel, but ThingLink 360/VR has no limits. Our image of the week, courtesy of Dr. Larysa Nadolny, takes students on a deep sea dive to have a coral reef adventure.